For ReachMD, this is Audio Abstracts. I’m Dr. Manish Singla, gastroenterologist at Walter Reed National Military Medical Center and a member of CCFA’s Rising Educators, Academics, and Clinicians Helping IBD group, or REACH-IBD. The last 20 years have brought about significant changes in the care of the hospitalized IBD patient, to include early use of biologics, combination therapy, and drug level monitoring with dose escalation. These changes have contributed to increased complexity in managing these patients. In a cohort study published in the September 2016 issue of the Inflammatory Bowel Diseases Journal, lead author Dr. Cindy Law and colleagues examined the effects of specialized IBD care on inpatient and post-discharge outcomes of IBD patients. This was a retrospective study of all patients admitted to Massachusetts General Hospital from July 1, 2013 to April 30, 2015. The investigators included adult patients admitted with ICD codes for Crohn’s disease and Ulcerative colitis; excluding pediatric patients, those admitted for elective surgeries, and non-IBD related stays. 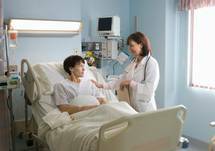 Starting on July 1, 2014, IBD-related hospitalizations were managed by IBD specialists. Patients admitted between July 1, 2013 and July 1, 2014 were used as the reference population, and those admitted after July 1, 2014 were used as the intervention population. 196 patients in the reference period were compared to 212 patients in the study period. No differences were observed in use of biologic therapy or length of admissions, however, IBD specialty care led to a 5.5 times higher likelihood of use of high dose biologic therapy, and 1.6 times higher likelihood of remission at 90 days post-discharge. Early surgery was 2.73 times more common in the study period than the control period. Although a previous study has shown benefits to IBD patients seeing IBD specialists in an outpatient setting, this is the first study to analyze the effects of IBD subspecialty care on inpatients. These potential impacts on IBD care may be due to optimization of drug dosing, closer follow up with an IBD physician, or higher rates of early surgical intervention. There was no difference in length of stay between the populations. However, patients may benefit from subspecialized IBD physician care, particularly by appropriate timing of surgeries, facilitating subspecialist follow up and drug optimization. This has been a presentation of AudioAbstracts. For more information, and for reference links to this article in the Inflammatory Bowel Diseases Journal, visit ReachMD.com. 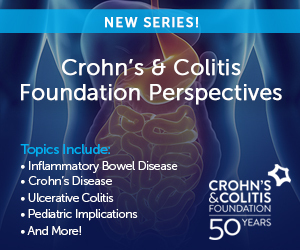 If you are interested in this topic or others on Crohn’s disease or ulcerative colitis, the Inflammatory Bowel Diseases Journal brings the most current information in clinical and basic sciences to physicians caring for patients with IBD, and investigators performing research in IBD and related fields. Each issue contains cutting-edge original basic science and clinical articles on diagnosis, treatment, and management of Crohn’s disease and ulcerative colitis from clinicians and researchers around the world. The IBD Journal is the official Journal of the Crohn's & Colitis Foundation of America. For more information on CCFA, please visit www.ccfa.org. A look into the implementation of specialized inpatient IBD care for modifying short-term and long-term clinical outcomes for hospitalized patients. Background: The management of inflammatory bowel diseases (IBDs; Crohn's disease, ulcerative colitis) is increasingly complex. Specialized care has been associated with improved ambulatory IBD outcomes. Aims: To examine if the implementation of specialized inpatient IBD care modified short-term and long-term clinical outcomes in IBD-related hospitalizations. Methods: This retrospective cohort study included IBD patients hospitalized between July 2013 and April 2015 at a single tertiary referral center where a specialized inpatient IBD care model was implemented in July 2014. 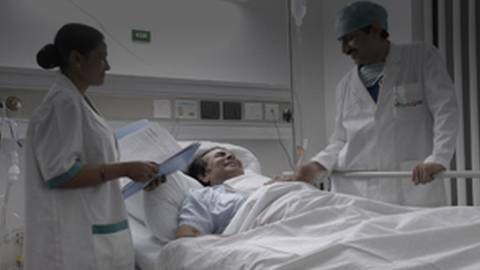 In-hospital medical and surgical outcomes as well as postdischarge outcomes at 30 and 90 days were analyzed along with measures of quality of in-hospital care. Effect of specialist IBD care was examined on multivariate analysis. Results: A total of 408 IBD-related admissions were included. With implementation of specialized IBD inpatient care, we observed increased frequency of use of high-dose biologic therapy for induction (26% versus 9%, odds ratio 5.50, 95% confidence interval 1.30–23.17) and higher proportion of patients in remission at 90 days after discharge (multivariate odds ratio 1.60, 95% confidence interval 0.99–2.69). Although there was no difference in surgery by 90 days, among those who underwent surgery, early surgery defined as in-hospital or within 30 days of discharge, was more common in the study period (71%) compared with the control period (46%, multivariate odds ratio 2.73, 95% confidence interval 1.22–6.12). There was no difference in length of stay between the 2 years. Conclusions: Implementation of specialized inpatient IBD care beneficially impacted remission and facilitated early surgical treatment.